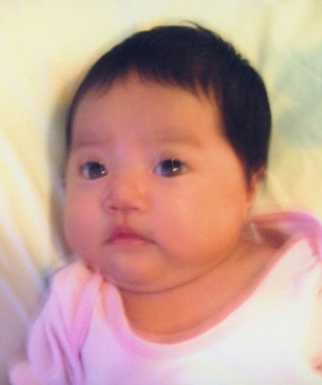 The New York Post reports that manslaughter charges were dropped against Ying Li on Wednesday—the day before jury selection started in the trial of her husband Hang Bin Li, accused of shaking and slamming their infant daughter Annie to death in 2007. Ying Li was accused of not seeking help for the girl immediately after the presumed assault, which both Lis have maintained through four years of imprisonment never happened. Supporters of the couple say that new medical evidence points to a genetic bone disorder as the cause of Annie’s meltdown. Hang Bin Li made headlines this past October, when he turned down a plea bargain that would have let him out of prison immediately. Jeffrey E. Singer and Corey Kilgannon at the New York Times published this excellent coverage last winter, and then provided more information in the spring, when Ying Li was released from prison after a bail reduction. A press release from 2008 detailing the charges against the Lis cited a witness who said the child was exhibiting symptoms five hours before the call to 911. I don’t find coverage of the upcoming trial in an English-language Google search, but a blogger who supports the couple reports that three Chinese-language news sites covered the partial jury selection this week. The blog says the trial is scheduled to start next Wednesday, Jan. 9, when I hope it will be covered in the papers I can read. January Update: Hang Bin Li was convicted in early February, as described at this post.